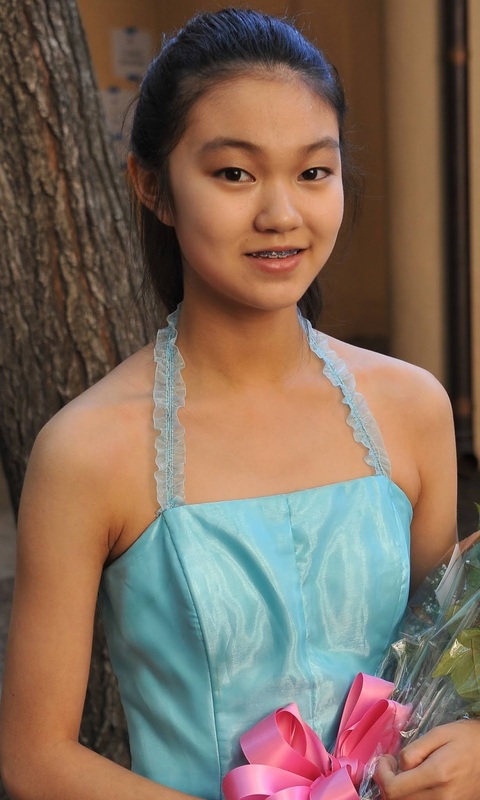 Abigail Leong currently studies cello with Jonathan Koh at the San Francisco Conservatory of Music Pre-College division. Abigail made her debut at Carnegie Hall with the Saint­-Saens Cello Concerto at age ten. Abigail won first place at MTNA state, VOCE state, Pacific Musical Society and Burlingame Music Club. She won two first place awards from the United States International Music Competition and was selected as a Fremont Symphony Orchestra Young Recitalist. She was also selected as a soloist at the Junior Bach Festival. Abigail says one of her goals is to share music with everyone. She enjoys dancing tap and reading in her spare time. My older sister also plays the cello. We both also played piano. I started classical ballet lessons when I was 2 years old. Why did you choose to play the cello? I wanted to learn piano but my hands were too small, so choose cello because there were smaller sizes for smaller people like me. Brahms because his music is both beautiful and challenging. Beethoven because his music is stormy and loud. And they both wrote some great repertoire for cello! One who enjoys the music performed along with the audience. A K-pop (Korean pop music) because many times it's a blend of music and dance. My teacher and coaches help a lot. Play from the heart and try to convey the message of the piece. I study music at the San Francisco Conservatory of Music, Pre-College Division. I would like to go to a conservatory someday to focus on music more. Gaining experience with performing and winning! I think it’s wonderful that one can enter an international competition without traveling! I love to dance modern, hip-hop and tap forms of dance. Also love baking! When I can sleep as long as I want. What is something funny about you? I can do a duck call (not on the cello) which makes people laugh! My cello teacher inspires me to do better. Animals suffering makes me sad. I can be very determined. Visit a great city I have never seen, like Amsterdam.